\I mean that in a good way. The best, really!!! I have never done larping, but it sounds like a fun thing to try. Maybe I should have done the True Dungeon thing at Gencon last year, it sounds close. Have any of you ever been larping? 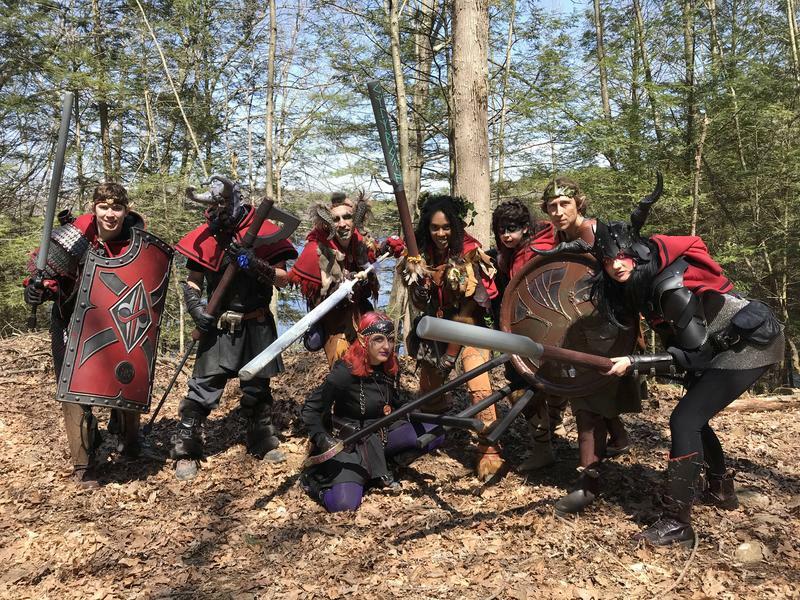 My wife, kids and I have larped as a family while walking through the woods, but I have never officially larped and my wife only did once back in her college days. Looks like you all had great gear and were ready to have a blast. I decided to start a new thread since the other one was getting to be quite long. To kick off the new board here is a picture of a bunch of us on the trip we just took! Have any of you ever been larping? It was fun to run around in the woods killing goblins and werewolves like a real murder hobo!